2442 E. Big Beaver Rd. Msgr. Zouhair Toma (Kejbou) was born in Telkaif, Iraq in 1947. 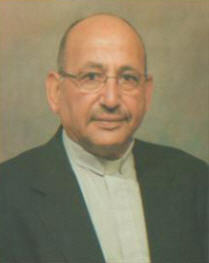 He was ordained a priest in Baghdad, Iraq in 1968, and accepted his first assignment to serve the community of Baquba. The Monsignor’s leadership skills and organizational talents along with his mastery of theology were immediately evident. He later assisted Sts. Peter and Paul in Al-Salehia, and St. George in New Baghdad. In August, 1978 Monsignor Toma was called to serve the growing community of persecuted Chaldeans finding refuge in Australia. Being the fist Chaldean priest to arrive in Australia he quickly established a parish for the Chaldeans in Sydney to serve their social and spiritual needs. The parish was named after St. Thomas the Apostle and built a rectory. In 1989, for his incredible work he was granted the title of Monsignor, Chaldean Patriarchal Vicar for Australia and New Zealand. Continuing his passionate work to serve the Chaldean community the Monsignor moved the Parish Center to a more accessible location and built a large church campus featuring a modern community center, residence quarters, and administrative offices in 1995. In 2003, Monsignor Toma added a magnificent church to replace the previous one in order to serve the fast growing community and also opened two other centers. The first was Our Lady Guardian of Plants in Melbourne, and the second was Mar Addai the Apostle in Auckland, New Zealand. Mar Addai in New Zealand included two very large churches along with rectories and community centers. Overseeing the Patriarchal Vicariate for 28 years, he managed to inspire six more priests to help minister to the fast growing Chaldean community. In August 2006, Monsignor chose to assist the St. Thomas the Apostle Diocese in the U.S. as more Catholic churches were being built in America and address the growing need. 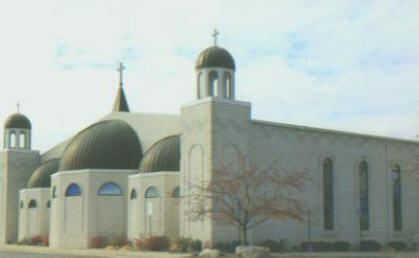 On October 2006, Monsignor was incardinated and appointed Pastor of St. Joseph Parish in Troy.